Beaucaire is a small Provencal town located on the banks of the Rhone river and the Rhone-Sète canal, the name means beautiful stone. There is evidence of a Gallo-Roman settlement in this hilly area as early as 11 B.C.. The ancient community gave way to a medieval town in 1067 and the establishment of a castle in 1180. The castle is impressive, even as a sliver of its’ former size. Standing in the open area after the entrance, one can begin to imagine the immense presence that once stood on this hilly promontory. 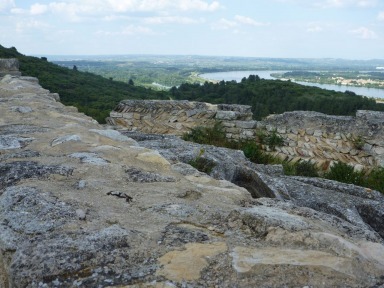 The view of the Rhone river from the top is worth the short climb. The town itself is worth the time for a short stroll through the old streets. In the historical section, one begins to get a feel for what this centre may have been like during the days when the castle occupied 26 hectares and the numerous mansion houses were at their prime. The height of prominence for this centre was in the 18th century when the Madeleine’s Fair, held each July 21st, reached 250,000 attendees. Over time as the importance of the fair declined, and trade shifted to other centres, the influence of Beaucaire has declined. The town has historical buildings that are appealing, unfortunately, though not as impressive as those found in many other centres. Just a few kilometres away from Beaucaire is the Abbaye de Saint-Roman. This monastery dates from the 5th century. It was a hermit settlement and occupied by monks until 1538. The entire structure is literally carved out of the limestone on the hill. The structure is the only troglodyte monastery in Europe, where literally the occupants lived like cavemen in the rock. A castle was built on top of the former monastery after 1538. It was only subsequent to the destruction of the castle that the former religious structure was discovered. The abbey was classified as a French state monument in 1990 and the oldest monastery in the country. For Nutmeg, the striking elements of this visit were, the sweeping view of the Rhone over the ancient tombs, the incredible amount of hard labour required to build the structure and the simplicity of life that existed within the walls. The challenge faced by Beaucaire and other small centres is obviously complicated. The entire region has a such a rich and complex history, it is difficult to attract the necessary attention and funding. The Beaucaire tourist office maintains an informative website. However, it is short-sighted that the parking in front of their office is by permit only – go figure!? It is potentially unfair to deny yourself a visit to Beaucaire. Certainly, it will never have the same crowds as the larger centres like Avignon. If you do go, do not miss the Abbaye de Saint-Roman as it is truly worth a reflective visit. For those who enjoy the sport of Course Camarguaise, there is an excellent arena in Beaucaire. And just across the Rhone river is Tarascon, another interesting town – a nice visit is to do both towns in a day. Thanks Keith, we love watching the Course Camarguaise, but have never seen it in Beaucaire. You are right Tarascon is definitely an interesting town to visit as well, the castle should not be missed. Hello Harriet I totally agree there is an authentic charm about these smaller non-touristy places. Thanks for reading. 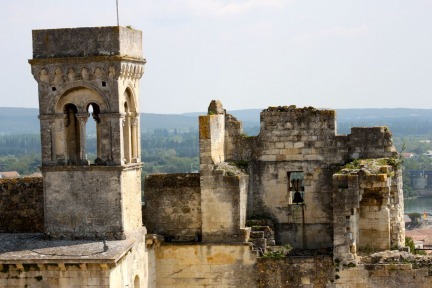 I love visiting these ruined chateaux in France – we’ll have to add this one to our list to visit! Your photos really capture a sense of the place, too. Thanks Richard. Beaucaire is definitely worth a visit. Thanks for reading G&N. Hi Phoebe the abbey is fascinating, definitely worth a visit. Thanks for reading Rob & Ann! 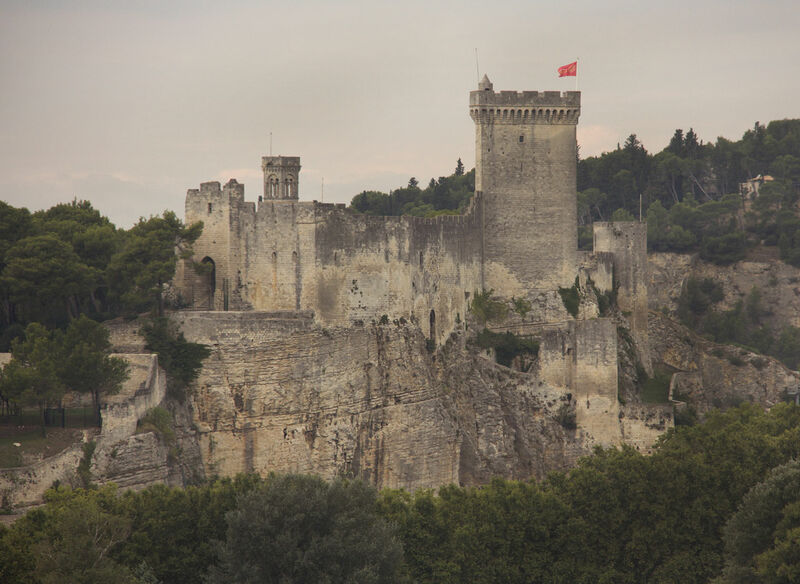 Beaucaire is definitely worth a visit. Tarascon right across the river has a fascinating castle that was used as a prison. There is graffiti on the walls, carved by the prisoners leaving messages of their presence. Quite thought provoking! Great of the beaten track option, and thanks for mentioning the Abbaye de Saint-Roman that I’m adding to my list. 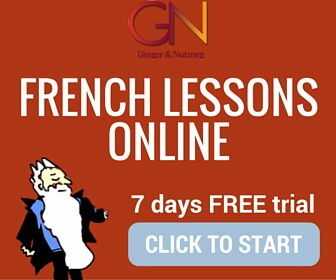 Hi GGG – Yes we have been to the castle in Tarascon, love the view of the Rhone Valley from the top level. Do plan a visit to the Abbaye de Saint-Roman it’s well worth it.